For patients of our practice without dental insurance. "No matter the issue, we have you covered"
"Blending Comfort, Convenience and Affordability"
"End the negativity you associate with Dentistry"
Our team at Forever Smiles Turlock, led by Dr. Jasleen Kaur, aims to provide you and your family with friendly, customized dental care that focuses on your unique oral health needs, and your personal goals. 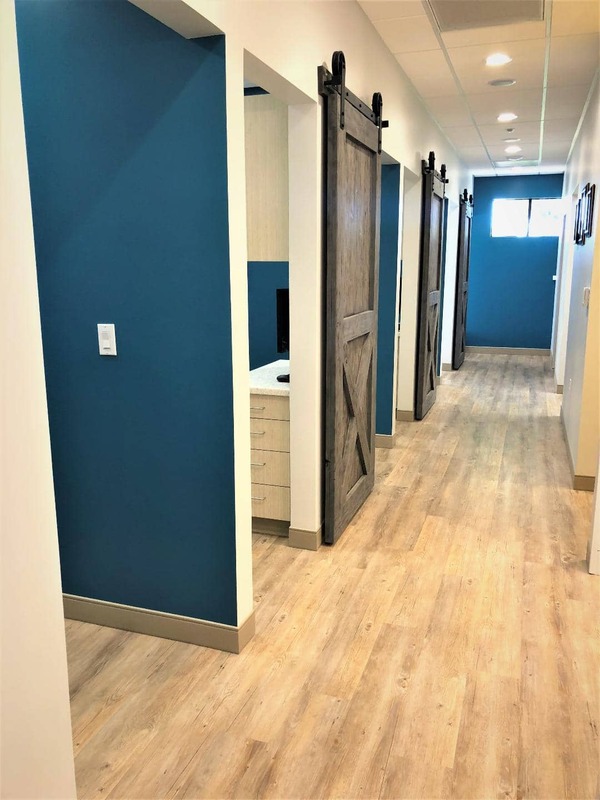 We know you have a choice when it comes to your dental health, and we promise to make you feel happy about choosing our office. We offer standard and emergency dental care; from routine checkups and cleanings, to advanced braces, implants and completely new smiles. We recognize that many patients come to us after years of evading proper dental care because of fear, apprehension, finances or just time. 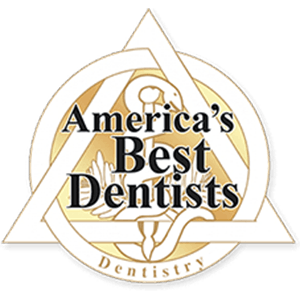 Our goal is to rid you of any negativity you associate with the dental practice through a gentle touch and dental solutions that work. 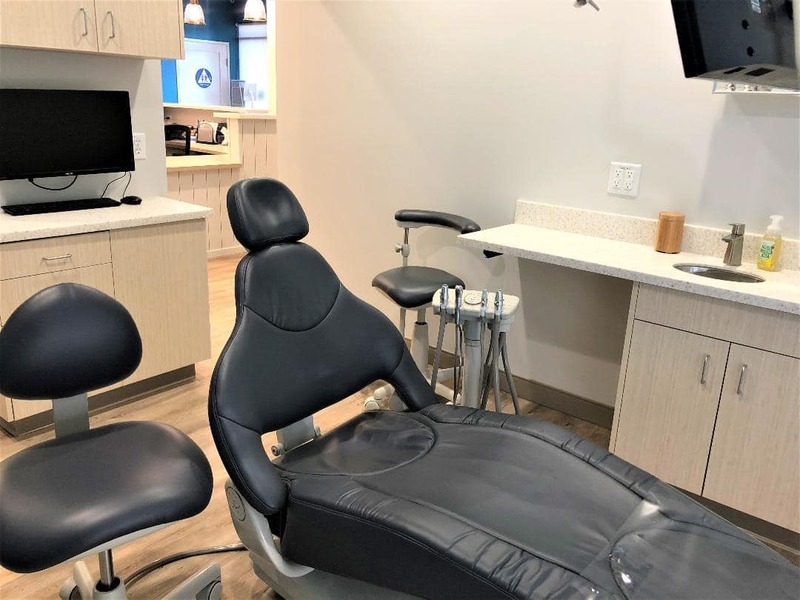 Everyone in our team is committed to fulfilling this promise, and you can expect that we will do everything within our capacity to give you the dental care you need and deserve. Our professional team at Napa Valley Dental Group includes highly skilled doctors in all aspects of dentistry. 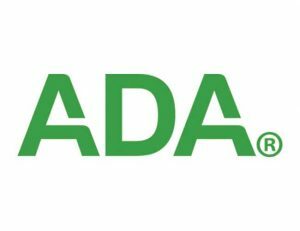 All of our dental assistants have received advanced training and are registered Dental Assistants, certified by the California Dental Association. Check put our services. Not every dental visit is the same. In the event of an emergency, our skilled dental experts are prepared to address the needs of patients. Our staff can provide quick treatment options in the event you are experiencing cases of dental trauma or pain. 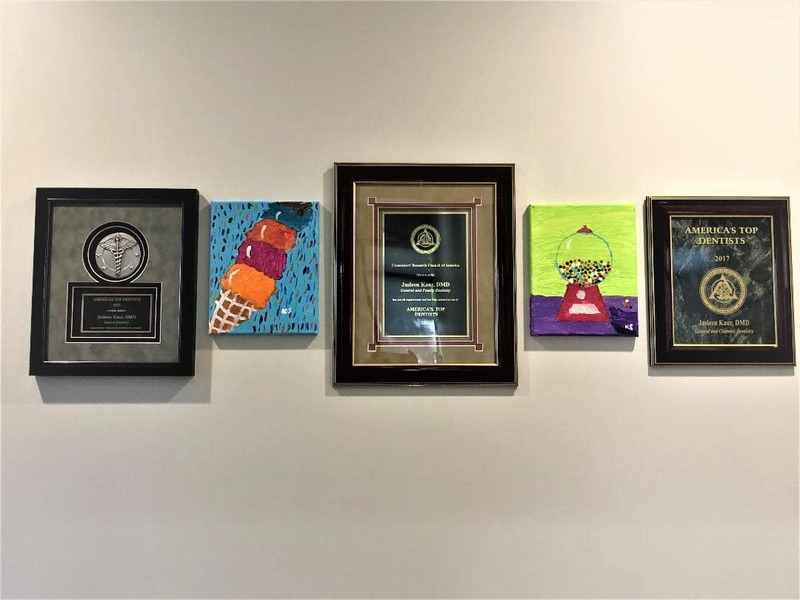 Pediatric dentistry takes into account the dental needs of youngsters from earliest stages until their high school years. We are on the whole very much aware that kids are not generally extremely respectful with regards to nurturing their teeth. They frequently neglect to brush their teeth (which is the reason we as guardians need to remind them continually to do as such), and numerous children dread to go to their dental practitioners. 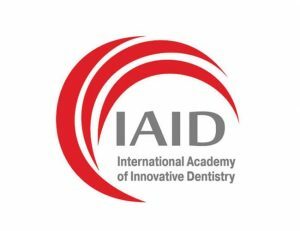 Cosmetic Dentistry is an art of dentistry which is unique and very precise, but highly rewarding for the patient as well as dentist. 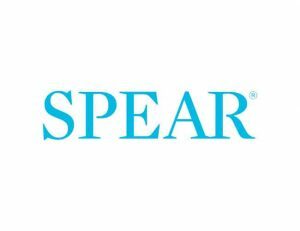 We provide various services ranging from porcelain veneers, laser teeth whitening, no prep veneers, snap on smile for beautiful long term results. Oral cancer screenings are essential in advising patients about the condition of their dental wellbeing, especially on the off chance that they are concerned about specific indications and signs that they may have felt with respect to their mouth, throat, head, and neck. One reason gum disease is so common is because early symptoms are mild and may go unnoticed. Most people don’t even know they have gum disease. 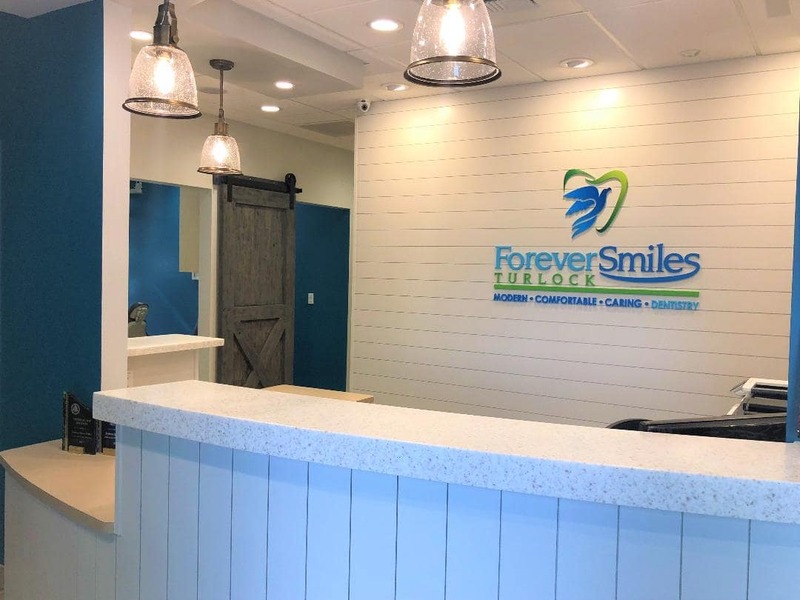 At Forever Smiles Turlock we can help you identify your gum care issues and provide plans to get you back to a healthy mouth. A root canal is one of only a handful couple of treatment choices to spare your tooth or teeth from irreversible harm. The expression “root canal” is utilized to allude to the regular hole inside the focal point of the tooth, where the tooth nerves can be found. Root canal treatment includes evacuating the damaged area of the tooth, cleaning and sterilizing it, and finally filling and sealing it to help avoid future problems. This treatment is effective to help spare teeth harmed by decay or rotting that can lead to more serious issues if not tended to promptly. 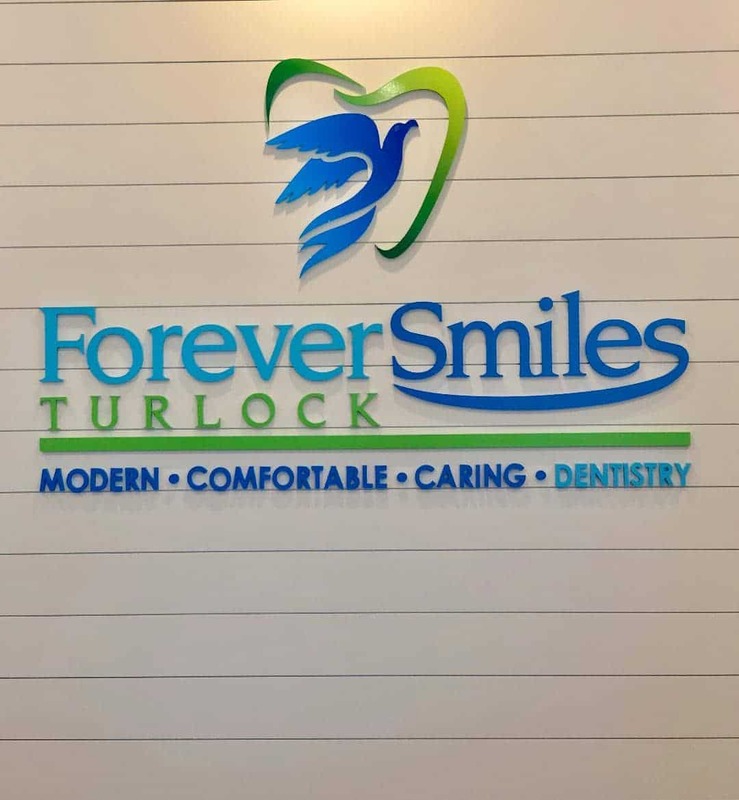 On the off chance that you speculate you have a disease in the root of one of your teeth because of agony, Forever Smiles Turlock may suggest root canal treatment. 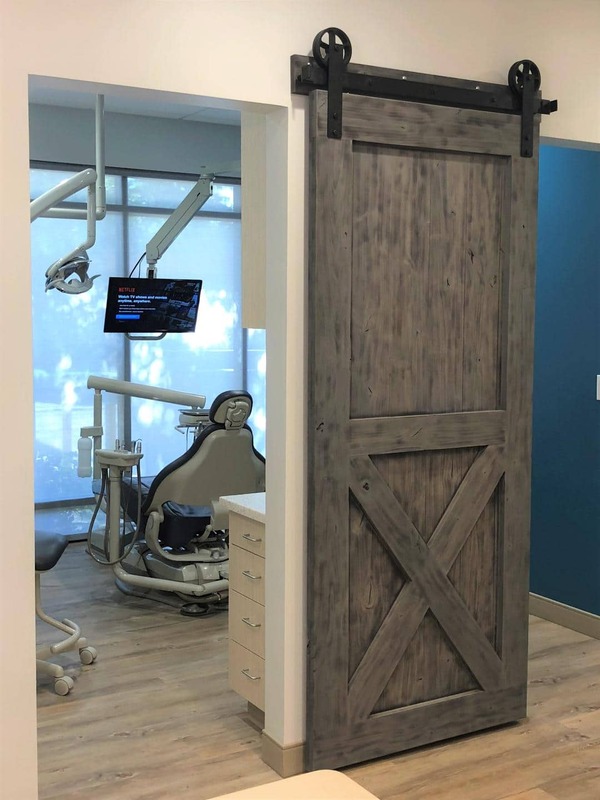 Every one of us have presumably experienced that sentiment uneasiness when wanting to go to the dental specialist for treatment. In any case, dental fear may shield you from getting the dental care you require. 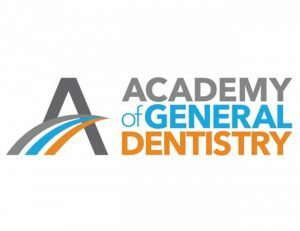 In the event that you fear the dental practitioner seat, you might need to think about sedation dentistry. 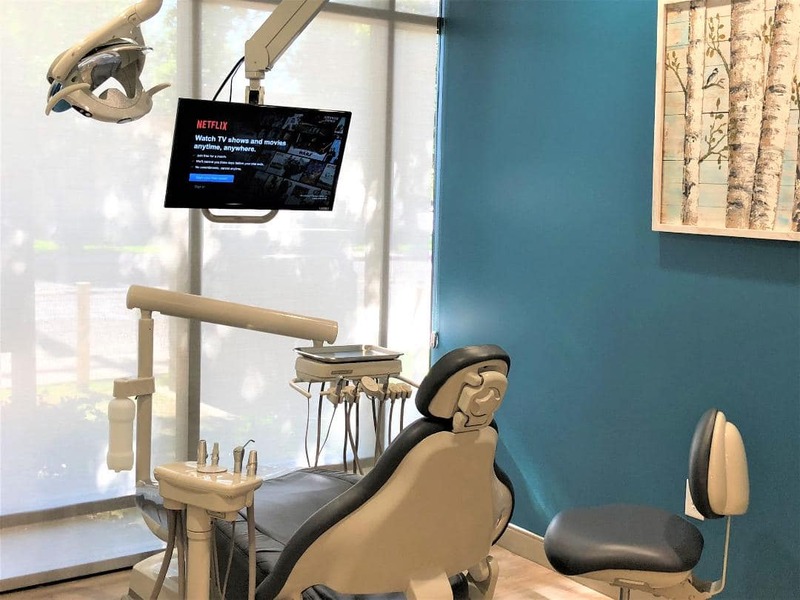 Sedation dentistry utilizes dental, restorative medications that let patients appreciate an unwinding and nervousness free involvement in our office here in Turlock, CA. Present day families confront numerous requests in life that frequently rotate around the different interests and timetables of their families. At the point when a family has developing kids, guardians regularly experience issues distributing the time accessible to them for imperative issues, for example, dental visits. 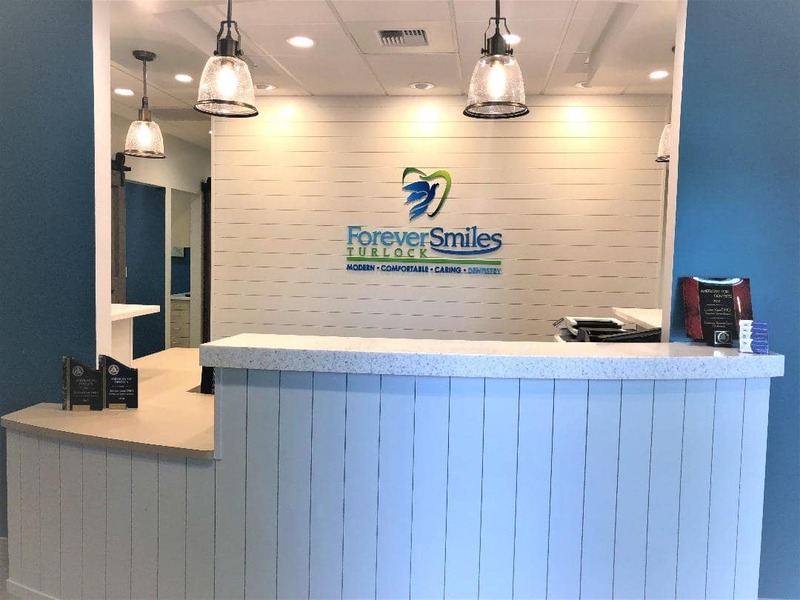 Forever Smiles Turlock in Turlock, CA offers its patients family arrangements as a dental treatment planning choice. Such arrangements streamline the dental treatment forms by giving every individual from the family the consideration and dental treatment they require in the meantime, or on firmly back to back circumstances amid that day. Some dental methods can be done on the day you require an arrangement. Known as same day medicines, the requirement for dental consideration is imperative, which is the reason treatment occurs around the same time. While this may appear as though medications are done around the same time and crisis medicines are one and the same, despite everything they have their slight contrasts. Dr. Jasleen Kaur welcomes you to her dental family! Dr. Kaur graduated from the prestigious dental school University of Pittsburgh School of Dental Medicine in Pennsylvania. She moved to California after finishing school to be close to family. 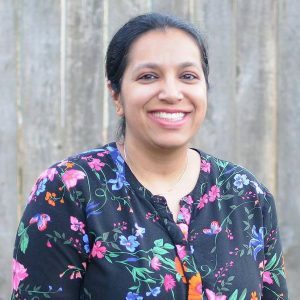 Dr. Kaur has been serving and helping the people of central valley with their dental needs since 2012. She has been known to have a gentle hand and a willing ear. 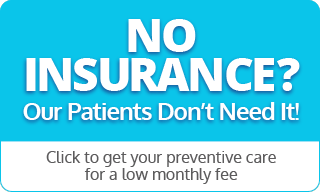 Are you a patient of our practice without dental insurance? 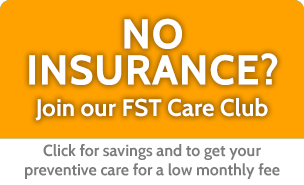 Then join our care club, make low monthly payments for your preventive care, and save money today! 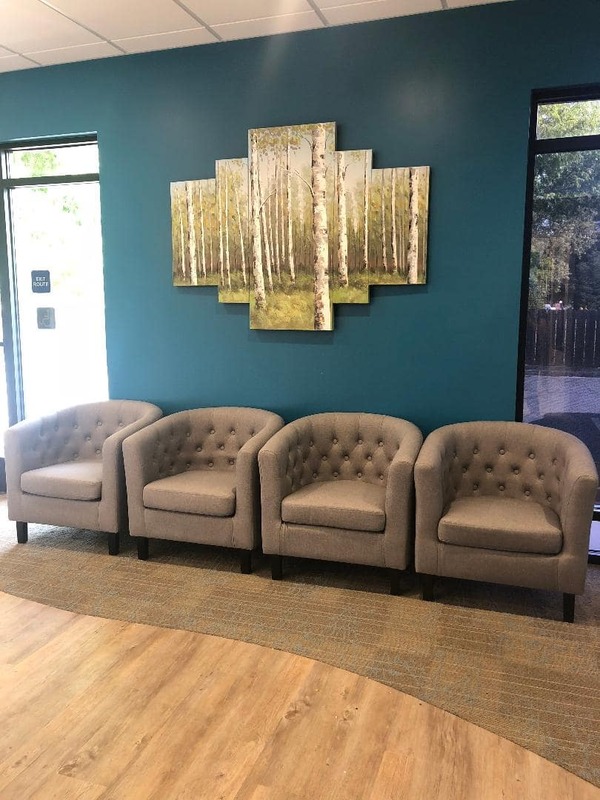 At Forever Smiles Turlock, our client's comfort comes first. 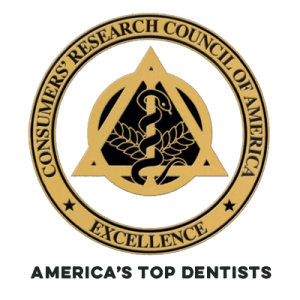 As part of our dental family, we strive to give you the highest quality care with as little discomfort as possible. We know your time is valuable. With extended hours and time-saving office tools, we can help you make the most of it. Need to fit your dental care into a budget? Our flexible payment plans and in-house savings options make it easy to get great care without breaking the bank. I had a good dental experinece with Dr. Kaur. She is sweet and cares about her patients. She performsquality work in a timely manner. I truly recommend her for any dental need. I took my daughter to see Dr. Kaur and was a little nervous because she had only seen pediatric dentists. Dr. Kaur was so welcoming and made my daughter feel very comfortable! She did everything that the doctor and assistants asked her to do. She did end up needing one cavity filled, which I was again nervous about, but my daughter let Dr. Kaur do the filling and did not give her any trouble! She left both appointments excited for her next ones. I am so thankful that my daughter is not scared to go to the dentist and I believe I owe that to Dr. Kaur. I will not take her to anyone else! In the past I’ve had terrible experiences with dentists which left me dreading to go in for my six month checkups. Dr. Kaur has changed my outlook, I no longer fear my appointments. The work she does is phenomenal!